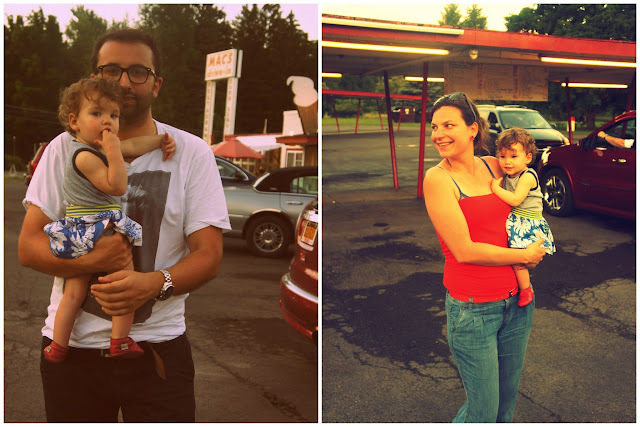 The real American things we discovered on our last days when we stayed in the Catskill Mountains. We stayed at a 'resort' in the middle of the forest, with an old huge porch (Love love love it), a bowling alley and Americana style interiors. While we were cruising we also discovered a real drive in restaurant, where the girls come take your order at the car window and also serve the food at the car window on an especially for that purpose designed tray (the only thing missing were the roller-skates on the waitresses' feet). The right music was playing, the food was good and it was our cheapest and most cool dinner. America like it is in my head.